This will surprise most people that know me and my family for sure. 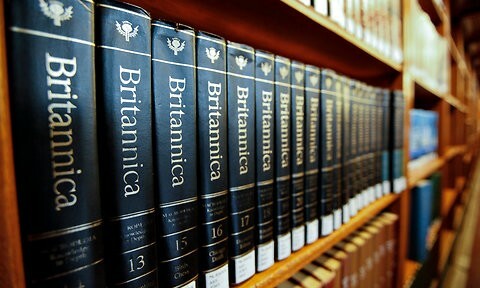 News announced today that Encyclopaedia Britannica will no longer be released in its 32 volume printed format. I was firstly surprised that it was still in-fact being printed. Everything that is within the pages of those books will be on the Internet. 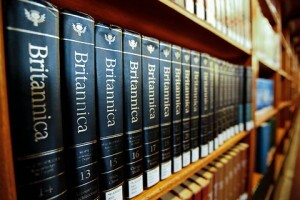 Also typing your search into any online search engine will find the information much faster than locating what you want in the index books then finding the information in the right volume. I remember back at school before the Internet using my parents copy to lookup information and write reports. I even remember the attempt at getting this media onto CD’s However the format is still just as bad. It can’t be updated and also spanned several CD’s. It is sad to see this resource stop but it has been superseded however the Internet changes on a daily basis. In a number of years we will laugh at what we called the Internet today. This is indeed interesting news 🙂 We have a rather old set here – must be at least 10 years old. I am pretty sure we might be able to make a drinking game out of finding incorrect information in those tombs.